Developer website: Place Pixel Inc.
Is there a better alternative to Roger? 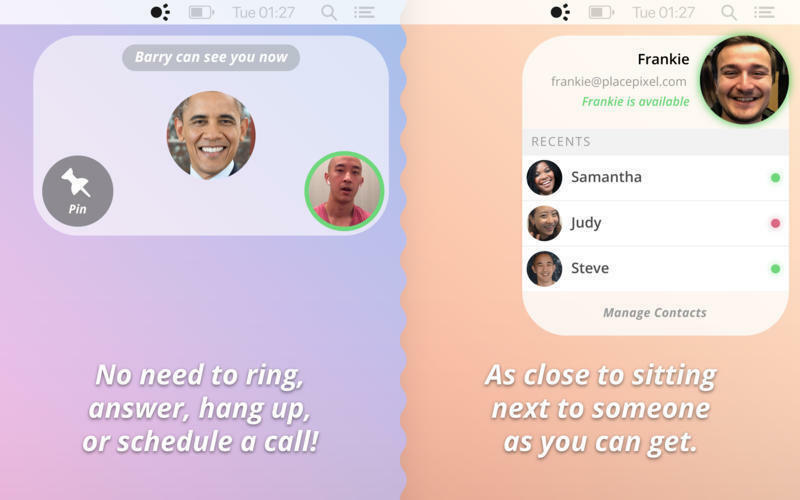 Is Roger really the best app in Chat category? Will Roger work good on macOS 10.13.4? Roger is a video walkie-talkie tool. 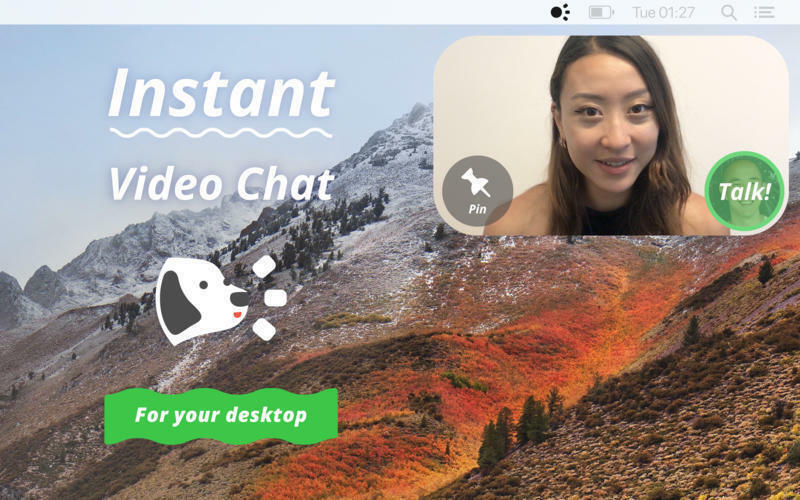 Roger puts a push-to-video bubble right on your desktop, so you have instant access to your friends, family members, or teammates. 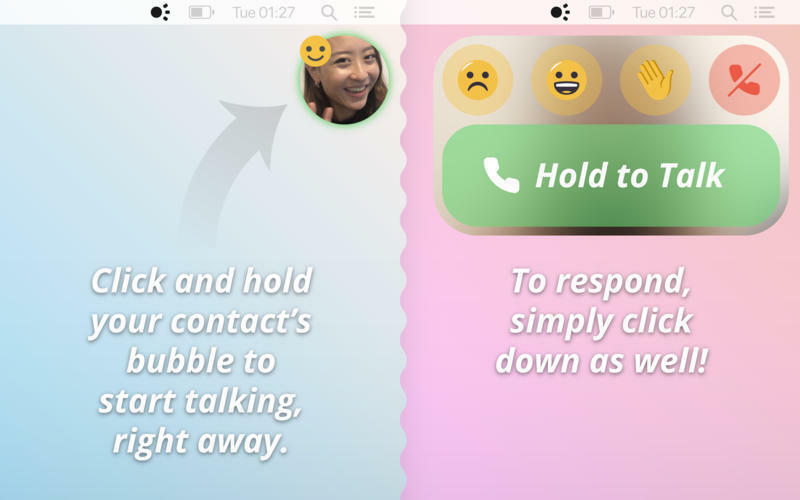 Just hold down on your contact's bubble and start video chatting right away. No need to dial, ring, answer, hang up, or schedule a call! Roger needs a review. Be the first to review this app and get the discussion started! Roger needs a rating. Be the first to rate this app and get the discussion started!